Yay! I got my camera back! I've got so many things to show you all, but I figured I'd just post about a few so as not to overwhelm. First of all, I finished my oldest's first "mom made" quilt. I used the Lightning pattern, but instead of doing the patterned fabric for the lightning bolts, I decided to switch things and up and use a solid instead. Yeah. Not what I envisioned. It definitely works better the other way, but I know my son will love it because he really wanted to be able to see all the Space Invader fabric and you couldn't really if I'd used it for the zig zags. So alls well that ends well, but I certainly don't love it. 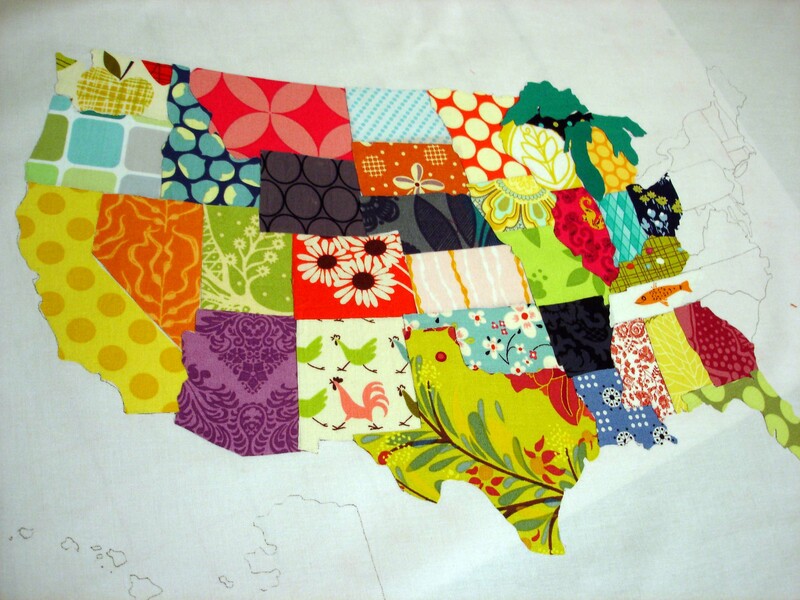 I started a fabric map of the U.S. using my scraps, and I have to say I really enjoy the process and how it's looking. What I'm not excited about is all those teeny tiny East Coast states. Which is why this is 3/4 of the way finished and not 100% finished. Next up, an uninspiring but certainly satisfying stack of pj's for my boys. Because Christmas isn't Christmas unless you get pajamas. I've also started working on some little felt bean bags with numbers for my one-year-old niece. I figure she can chew on them or throw them at her cats or something. That's all one-year-old kids really do with their toys anyway, right? Lastly, I've been experimenting with different ways to get my super straight hair into nice, Rita Skeeter-esque ringlets for the Harry Potter Christmas party (more on that later), and for the past two days I tried different types of rag-curlers. Which meant that for two straight days I walked around looking like Aunt Jemima, followed by some hilarious, very un-Rita-like afros when I pulled the rags out. I hope you are all having a lovely Friday. Yesterday we put up our Christmas decorations and had a fire. This weekend starts the crazy Christmas party season for us (literally this is the most insane my calendar has looked. Ever.) and I'm so excited. I think you should all be excited, too! hahaha...i am cracking up on your description of what willow will do with those bean bags! another option would be tossing them in the toilet...it seems i always catch her just in the nick of time before something gets drowned in that nasty water. I am in awe of your map. Tell me more. Is there a pattern? How are you going to appliqué the states? Wonderful choice of fabric. What's with those little guys? Maybe they should band together. Your map looks so cool! 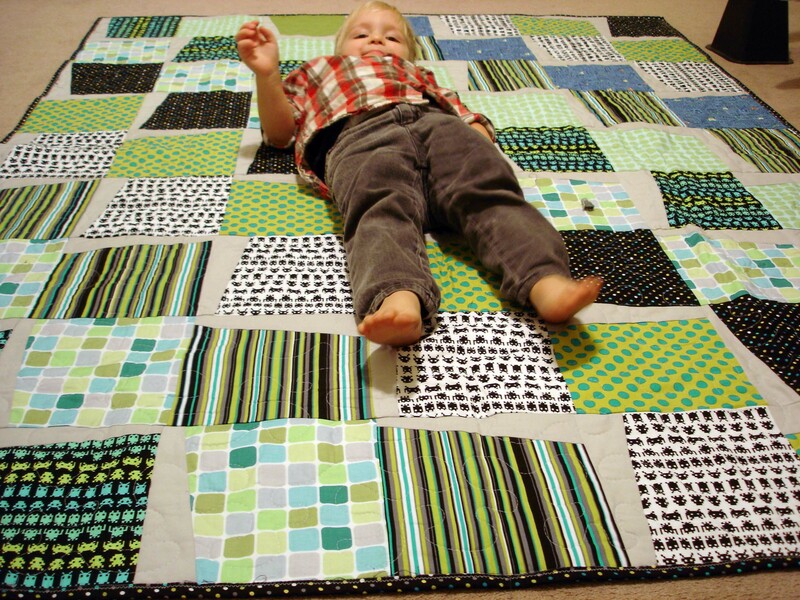 I agree with the lightning bolt quilt, but hey, now you know, right? And sharing it here was nice to see the difference. I'm inspired by your tutorial and I definetly want to make one! Lots of good stuff, Jenn. Glad you have a camera again ;). What are you going to do with your map when you're done? Counts as homeschooling, am I right! I agree wholeheartedly about the pajamas (with the exception of the comment about them being uninspiring). I think that the picture of you is adorable. I with Marilee. this is wonderful! I'm doing a display project at work that this would be perfect for! I am the still exhibits coordinator for a local county fair and we are doing a big contest and disply on Barn Quilts... Pattern? tutorial? Help?